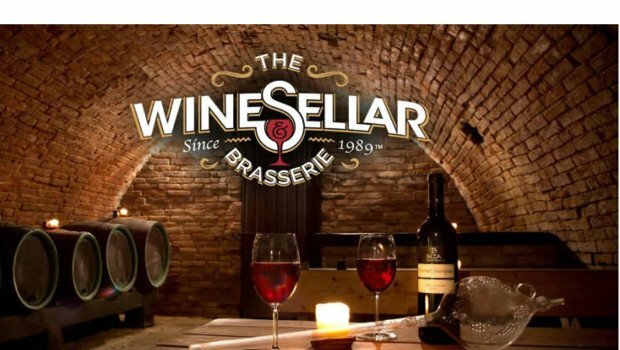 Last night when dining at San Diego’s acclaimed The WineSeller & Brasserie, a restaurant we have enjoyed at least a couple of dozen times over the course of many years, we actually were shocked to glance up and see gorgeous drop-in decorative ceiling tiles. We hate to admit it but yes even we occasionally fail to look up 🙂 After some debate about whether they are real tin or faux tin tiles we decided they are most likely a painted aluminum since the tiles glimmer when the light reflects off of them. However without standing on a ladder and actually touching the restaurant ceiling, from a distance it is almost impossible to tell the difference . The pattern however was unmistakeable – it is the classic Queen Victoria design, also known as Tiny Tulips. 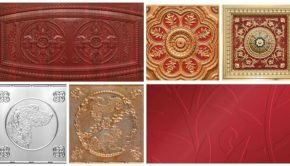 We checked with Milan over at Decorative Ceiling Tiles and he currently stocks three different versions of the same pattern: Faux Tin Tile #148 (available in glue up only), Aluminum Ceiling Tile #1204, and the new Shanko aluminum tile #209. Prices vary depending on the size and colors you choose. 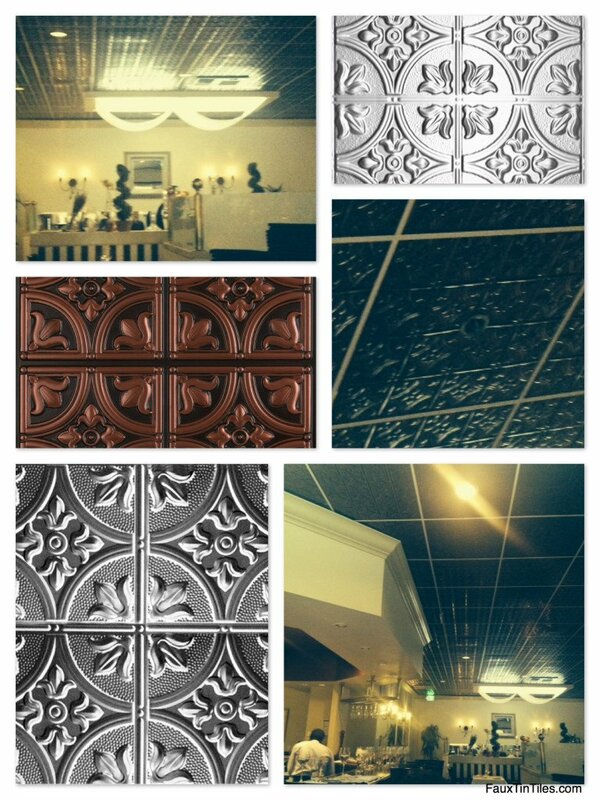 Summary: Another example of how beautiful decorative ceiling tiles can transform a restaurant located in a very non-descript office industrial space from drab to fab!